"Love coming every year. So organized and fun. "Tracy H.
Bring your classroom lessons to life! 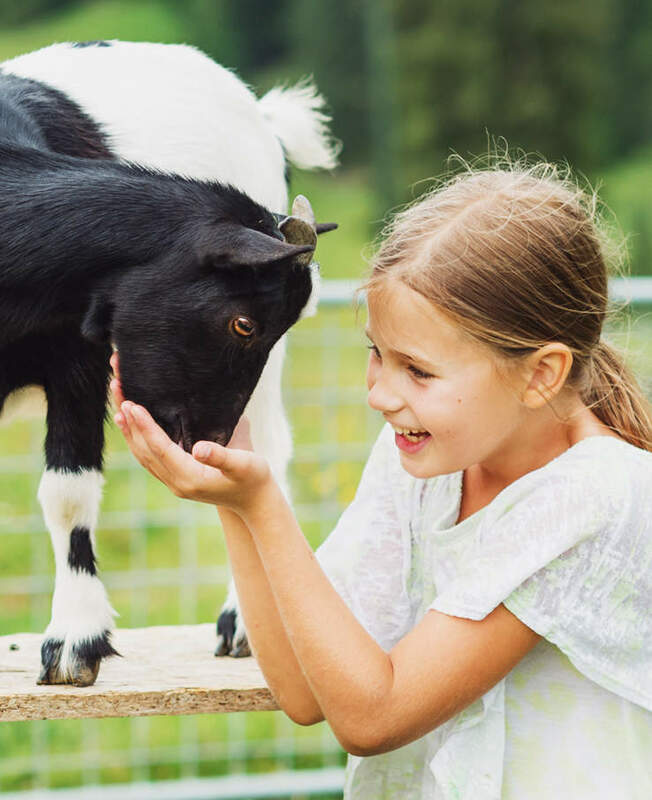 Students benefit from our enhanced learning environment that complements Tennessee's curriculum standards through multi-sensory, hands-on interaction and encounters with living things. Guided Field Trip Cost: $8 per person when paid for by the school. Our standard guided tours are 2.5 hours of action-packed fun. Classes follow a scheduled rotation to ensure each group gets the same great experience. Animal feeding is included. Groups may reserve picnic tables for a scheduled lunch at no extra charge. Express tours are available for those on a tighter schedule which may require an early departure time; however, express tours do not include a Wagon Ride. Click tour times below to make reservation. TIP: If we do not have openings for the time you have selected, then return to this page and try an alternate time slot. If all time slots are full then consider a Self-Guided Tour. DOES THE SCHOOL NEED TO PAY FOR PARENTS OR CAN THEY PAY AT THE GATE? To qualify for the "$8 - Guided Field Trip Rate," groups must pay for all guests with a single payment. This means you must pre-collect fees from any field trip guest (students, parents, siblings or other) that will be joining your group. Groups opting to have guests pay entry fees separately at the gate will need to advise them of our standard general admission rates of $13.99-Adults / $11.99-Children (Ages 2-12) plus tax, as these guests will not qualify for the Guided Field Trip rate or bonus offer. WHAT CURRICULUM STANDARDS ARE SUPPORTED? Our educational programs focus on life science and complement Tennessee academic standards of science through exploration of the natural world. Yes. You may pre-order lunch for staff, parents or even your entire group and it will be ready for pick-up at your scheduled lunch time. To view our menu and order form, click here. CAN ALL OR SOME OF OUR GROUP STAY AND PLAY ON THE FARM AFTER OUR FIELD TRIP ENDS? Yes. If all or part of your group would like to stay longer to enjoy attractions not included in your Guided Tour, then you may purchase a "Stay & Play Pass" for $2 plus tax per person. "Stay & Play Passes" can be purchased in advance when making your reservation online or individually at the admissions gate after your Guided Tour ends. ARE THERE ANY ACTIVITIES NOT INCLUDED WITH OUR FIELD TRIP? Schools are typically on a tight schedule; as such our Guided Tours are structured to include many of our most popular attractions but there is simply not enough time to do everything. The Train, Jump Pad, Tricycle Race Track, Splash Pad, Bubble-Blast, Gem Mining and Pony Rides are not included with our Guided Tours. Guests wanting to do these activities after your tour has ended will need to purchase a "Stay & Play Pass." CAN PARENTS TAKE STUDENTS TO THE PONY RIDES DURING A GUIDED TOUR? Pony rides are not included with our Guided Tours. We respectfully ask that all guests remain with your group until your scheduled tour has ended. Guests wishing to stay after your tour has ended may add a pony ride at that time. To do so they will need to purchase a "Stay & Play Pass" and pony ride ticket from the admissions gate. DOES OUR GROUP HAVE TO STAY TOGETHER AFTER WE CHECK-IN OR CAN WE SPLIT UP? For the best experience, we respectfully ask all guests on a Guided Tour to remain with your group throughout the duration of your visit.